BALTIMORE (AP) — The state's attorney in Baltimore will no longer prosecute any marijuana possession cases, regardless of the quantity of the drug or an individual's prior criminal record, authorities announced Tuesday. Marilyn Mosby, the city's top prosecutor, said pot possession cases have no public safety value, erode public trust in law enforcement, and intensify existing racial disparities in the criminal justice system since arrests disproportionately occur in communities of color. "No one who is serious about public safety can honestly say that spending resources to jail people for marijuana use is a smart way to use our limited time and money," she said. Meanwhile, her office will seek to vacate some 5,000 marijuana possession convictions stretching back to 2011. She described jailing people for marijuana possession as a "vast and ongoing moral failure" even as the drug remains illegal in the state. "Law enforcement pays a steep cost in the form of public trust when we spend resources on things like marijuana and simultaneously fail to solve and successfully prosecute homicides," she said. In a brief Tuesday statement, Baltimore's acting Police Commissioner Gary Tuggle stressed that officers "will continue to make arrests for illegal marijuana possession unless and until the state legislature changes the law regarding marijuana possession." When asked what she would do if police presented her with a pot possession arrest in coming days, Mosby didn't mince words: "We will release them without charges." Yet Dana Vickers Shelley, executive director of the ACLU of Maryland, said black citizens are consistently arrested for marijuana possession at higher rates than white citizens in every state county even though their rates of usage are similar. 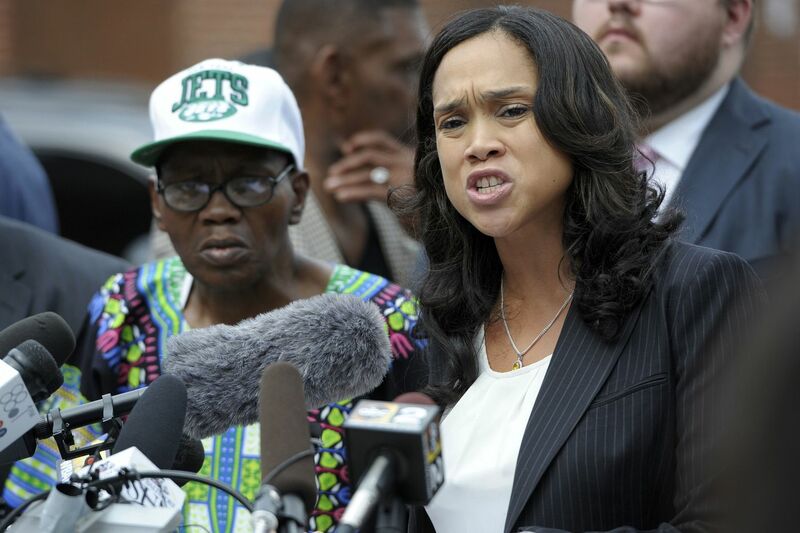 She urged the Baltimore Police Department to "take heed of this policy for change." "Our hope now is that she goes beyond this and supports legislation to decriminalize all drug possession so we can pursue a public health approach to drug use and end the wasteful and unjust war on drugs," said Tricia Christensen, legislative advocacy coordinator with Baltimore Harm Reduction Coalition. For years, prosecutors' offices across the country have been reconsidering pot prosecution policies and their impact on reducing crime amid a national shift in attitudes about marijuana.